On the last Saturday of every November we get our coats on and prepare the cars for bringing the trees home. 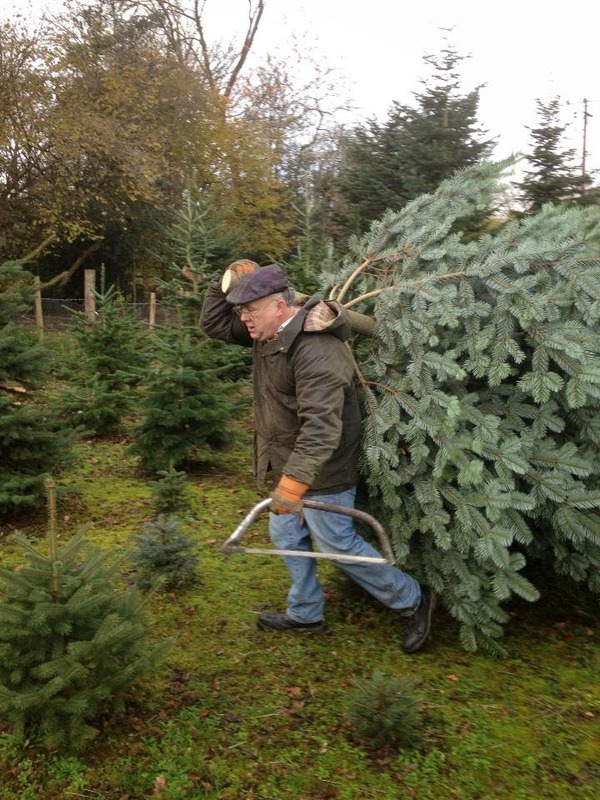 There are so many trees to choose from spread across four different fields, Martin the guy who runs it is such a jolly legend hauling trees around all day long every year. 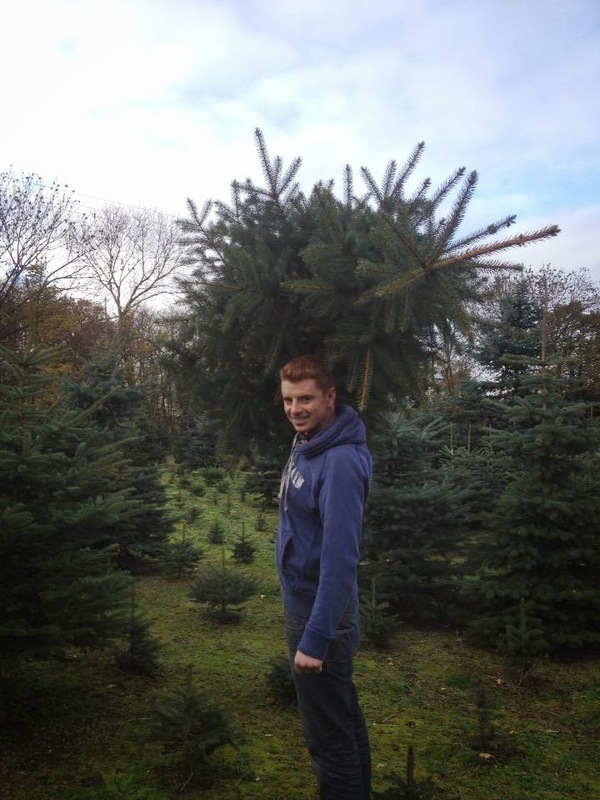 Come rain, shine or even snow he'll be there waiting for you to go and choose your tree to take home. Apparently it's been a good year for Christmas Tree growing this year so I'm expecting a good choice when we go there tomorrow. You'll be able to find a good tree for whatever size you're looking for, Martin supplies a lot of big City Council's trees and they come in November with big trucks to load 20ft trees in. We always have a lot of laughs on the way round trying to choose the best specimen, some are too spiky, some have wonky tops, some are weird shapes but after a while we usually pick a good one to cut down. I prefer the ones with soft needles. 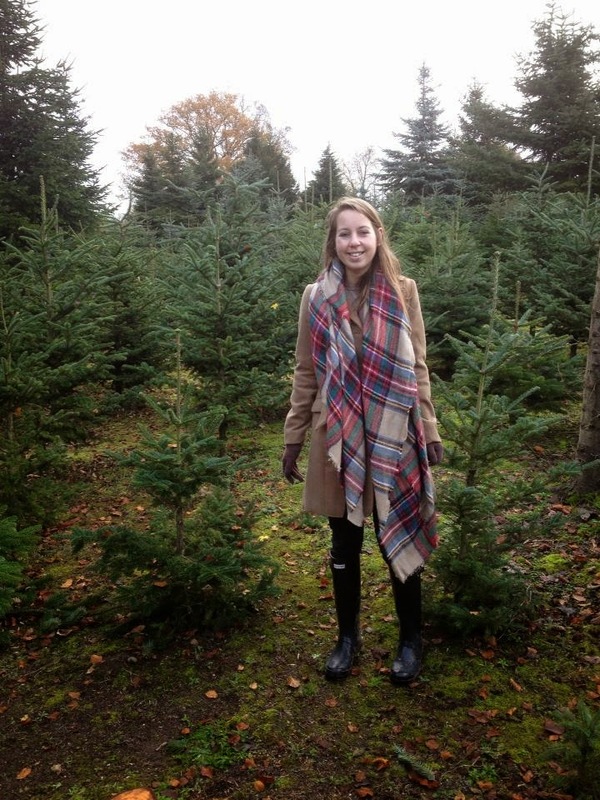 Some people go to the farm and tag their tree with a ribbon a few weeks before they want to pick it up. 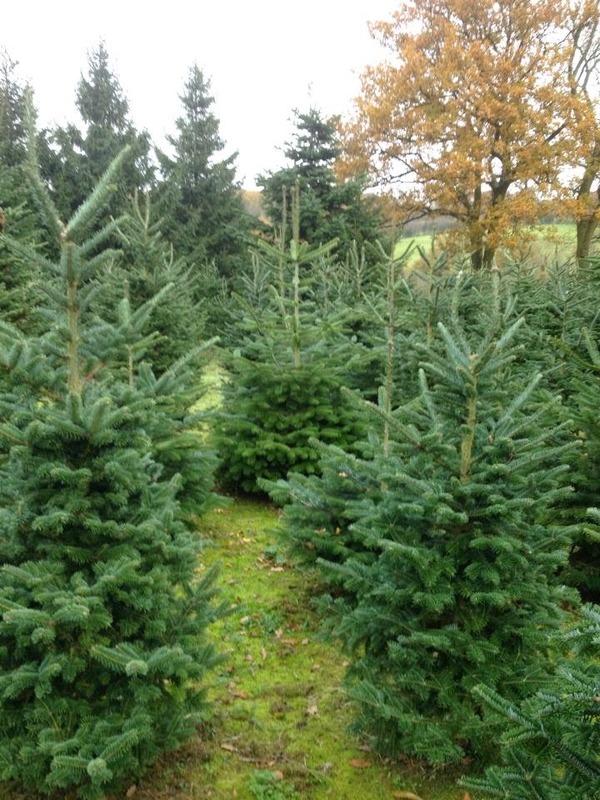 We just go at the end of November every year, the trees are so fresh that you might as well get full value out of them for all of December and I love the build up. The trees get cut down and put through a netting machine to make it easier to bring them home. 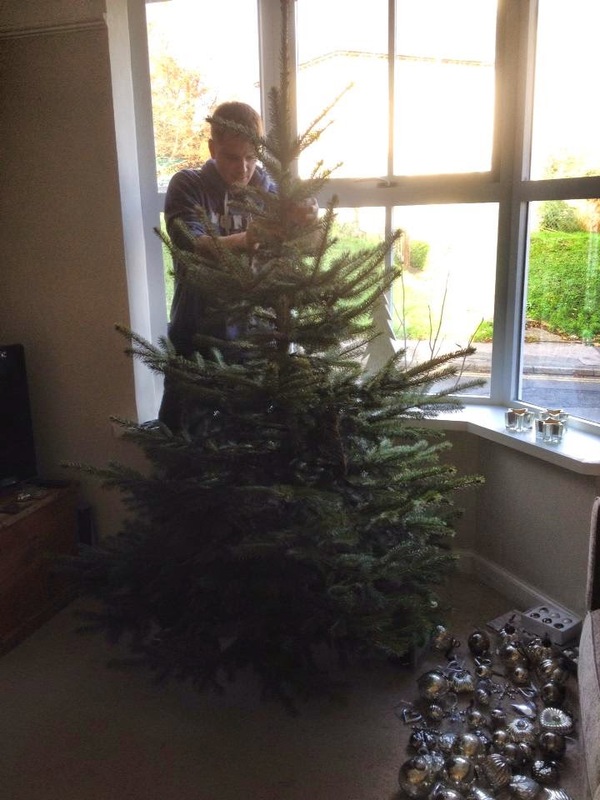 Ben and I go home and decorate our tree quickly before going up to Mum and Dad's to help unload the beast of a tree from the top of the car and get it into the lounge, with a great deal of difficulty! We love watching people's faces as we're driving home with such a huge tree hanging off of the car. 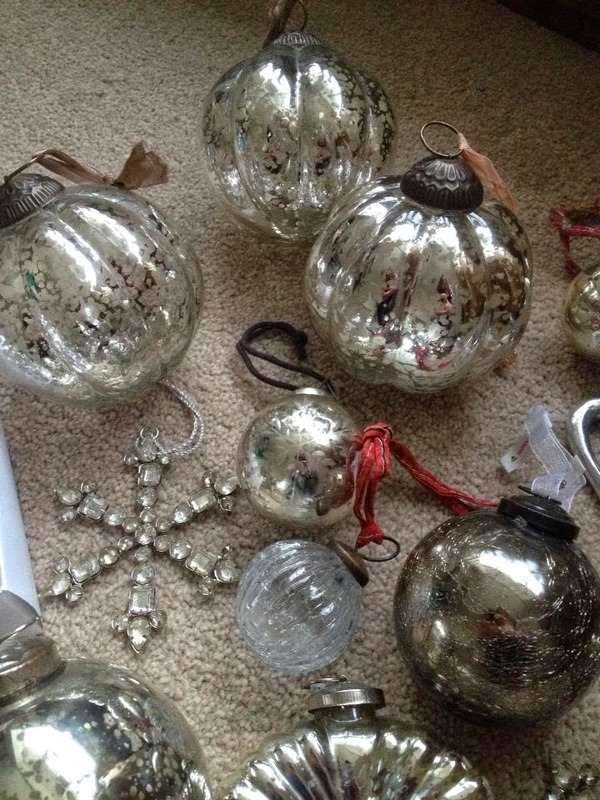 My theme for decorations tends to be a classic mercury/antique silver and glass baubles, hearts and snowflake decorations. 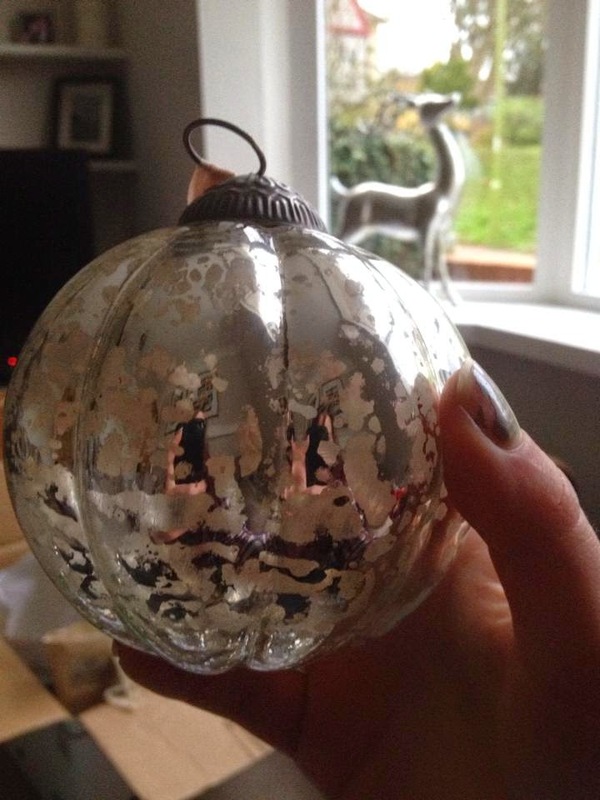 I've collected them over the years from a variety of places, mostly The White Company, the Country Living/Spirit Christmas fairs, TK Maxx, garden centres and local gift shops. They all had different ribbons on to start with, some were pretty but the blue and multicoloured ones didn't fit in so I ordered some silver ribbon to hang them with instead and rethreaded them. I normally get all the baubles out and ready the night before getting the tree so we're ready to get decorating as soon as we bring it home! 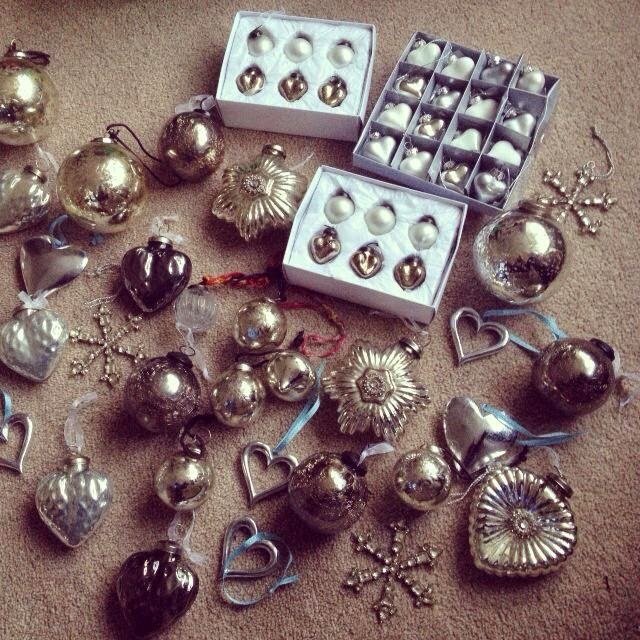 Ben's the expert at spacing the lights round evenly and then I get started on arranging the baubles. 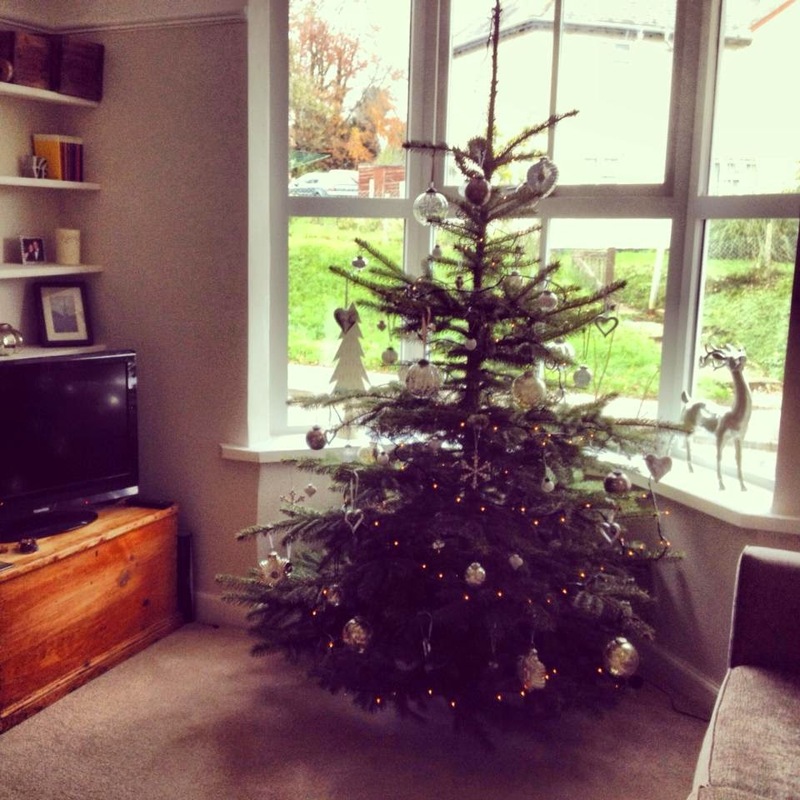 I actually thought our tree was slightly too small last year, we're going for a bigger one this year. Look out for the photos on Instagram from tomorrow! We also have shutters now which we were waiting for last winter, so the lounge will be much cosier this year. Once our tree is ready,we head up to help my parents. 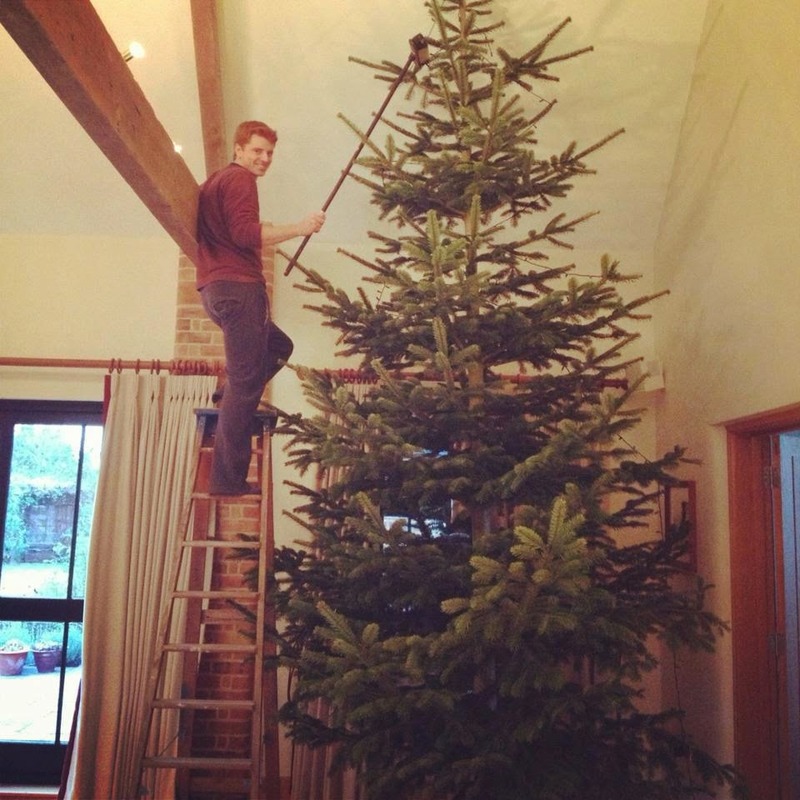 Ours is easy to decorate and string with lights compared to theirs, Ben has to stand on ladders and hold onto the beams with a broom to get to the top of my parent's tree! It's always a big event and a lot of fun unwrapping the baubles with my Mum while Ben and my Dad are up the ladder, we normally put some Christmas music on to really get us in the festive spirit! I love decorating two trees, double the fun! 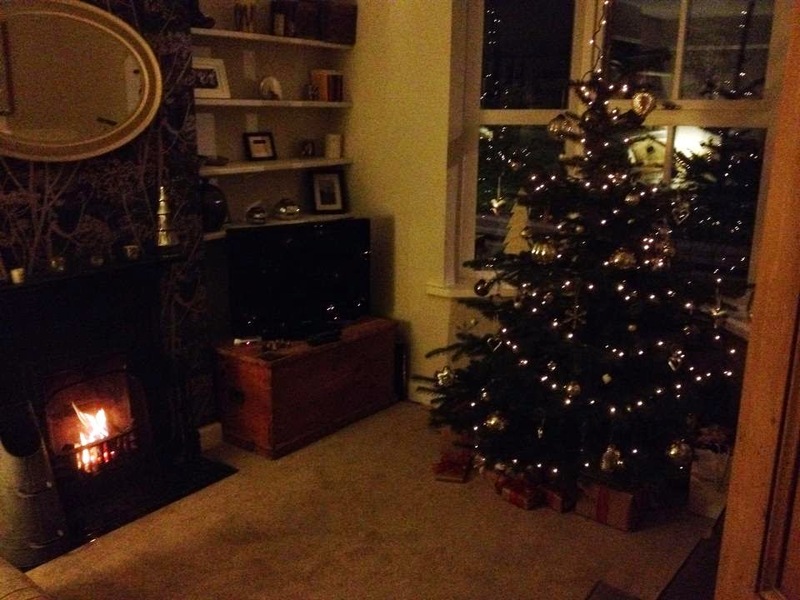 Once both tree's are decorated, the excitement can really begin!! Does anyone else just lay on the sofa gazing up at the tree thinking how beautiful they are? I love this time of year. What a marvelous bunch of traditions. 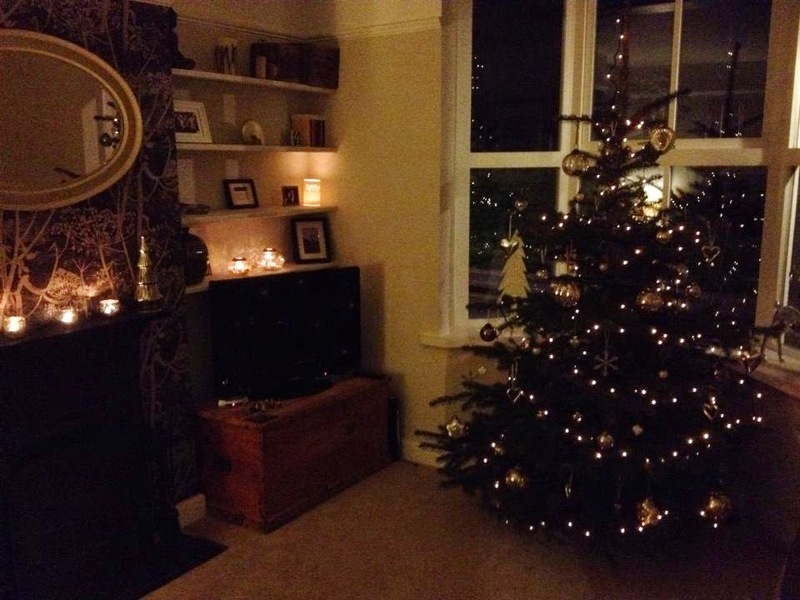 I grew up with artificial trees and continue the same with my own kids. 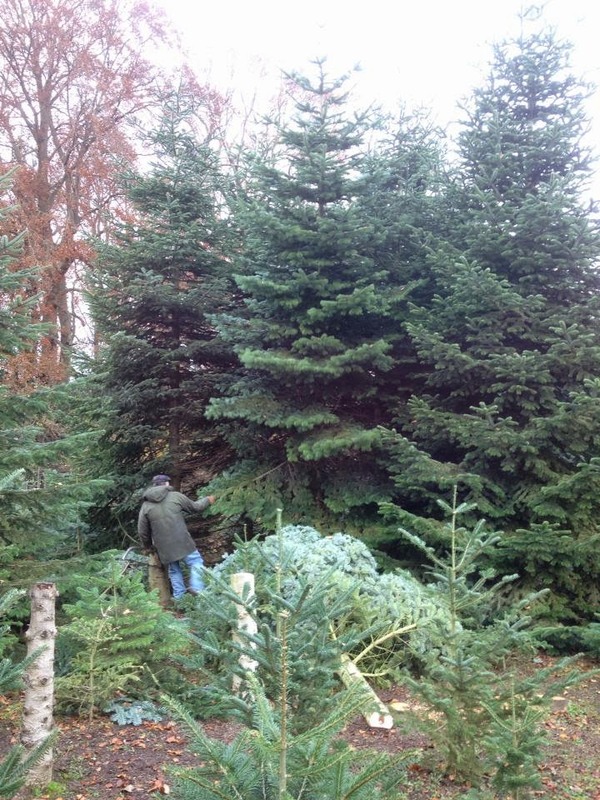 Lost needles would make me crazy, but I sure would love the smell of fresh evergreen in my house. Your house will smell amazing soon!